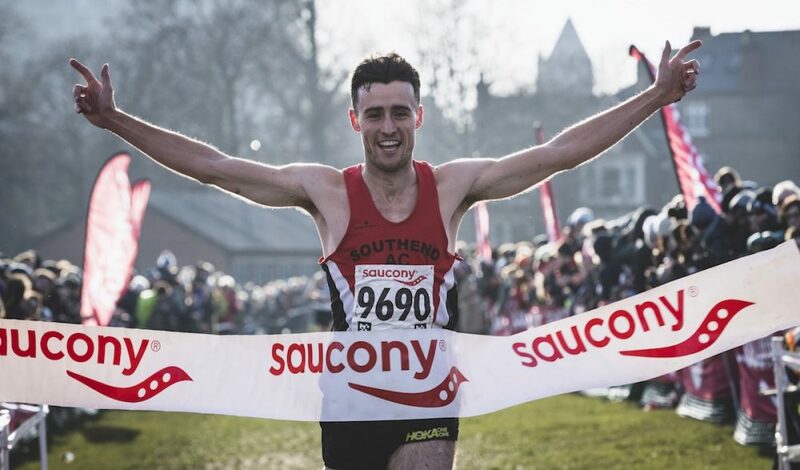 Phoebe Law and Adam Hickey won the senior crowns on a sunny but chilly day at the Saucony English National Cross Country Championships on Saturday (February 24). 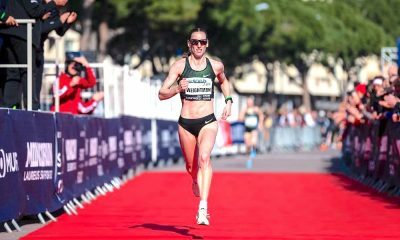 After taking place in Nottingham last year the Nationals made a return to Parliament Hill for a record 16th time and despite the absence of defending senior champions Jess Judd and Ben Connor, the action did not disappoint with over 9000 runners competing across the 10 races. Phoebe Law couldn’t have announced herself on the national senior ranks in any better fashion than she did today with a brilliant victory in senior women’s race. The South of England champion, who was a fourth-place finisher in 2016’s U20 race, pulled away in the second lap to open up a sizeable gap before taking the tape 21 seconds ahead of Louise Small. It was a consecutive silver for Aldershot’s Small who crossed the line in 28:54 with City of Norwich’s Iona Lake taking bronze in 29:05. 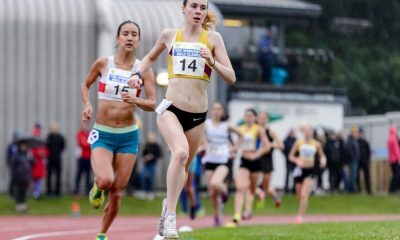 Georgia Taylor-Brown followed up her bronze at the Northern Championships with strong fourth place finish, and along with club mate Katie Hewson in fifth, Danielle Fegan in 19th and Ellen Downs in 48th clinched team gold for Sale Harriers. 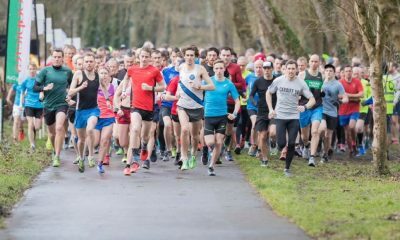 There will be plenty of memorable cross-country moments as runners charged the iconic uphill start on the Hampstead Heath course and the senior men’s race as always lived up to its billing. Adam Hickey, the runner-up in 2016, went one better this time and clinched his first senior national gold with a nine-second win over Highgate Harriers Andy Maud. A consistent performer through the cross country ranks, Southend’s Hickey will be delighted the win in 39:35 after coming back from hernia surgery last year. Today’s victory was also made that bit sweeter for Hickey after getting the better of Kent AC’s Gilbert who he finished behind at the South of England Champs. After finishing 15th last year, Peter Huck impressed to finish fourth, while last year’s fourth man Chris Olley was fifth. Tonbridge’s Olley repeated what he did in Nottingham and led his club to the team title, with the help of George Duggan (14th), Ben Cole (18th), Robbie Farnham-Rose (26th), Maximillian Nicholls (33rd) and Ryan Driscoll (35th). In the absence of Alex Yee and Ben Dijkstra, Mahamed Mahamed was the strong favourite for the men’s U20 race and brushed off any pressure from that tag and stormed to a first U20 gold. Mahamed has impressed throughout this cross country season, and after claiming the BUCS 3000m indoor title last weekend, on the back of a road 5k best in Armagh, is demonstrating his strengths across any terrain. Neck and neck with Northern U20 champion Emile Cairess at the midpoint in today’s race it was making for an interesting battle. However, as the action unfolded over the final 5km, it was clear there was only going to be one winner with the Southampton runner powering to victory in 31:26, almost a minute ahead of his Leeds City rival. Having won U17 gold at Parliament Hill in 2015, the 20-year-old now has one more fond memory of the course that sits on the backdrop of the sprawling London metropolis. Cairess, who finished sixth last year, took silver in 32:23 and Thomas Mortimer bronze in 32:54. Alex Gruen in 14th led Milton Keynes Distance Project to team gold. Defending champion Harriet Knowles-Jones leaves the junior ranks in style after a commanding performance to win a third consecutive U20 women’s crown. 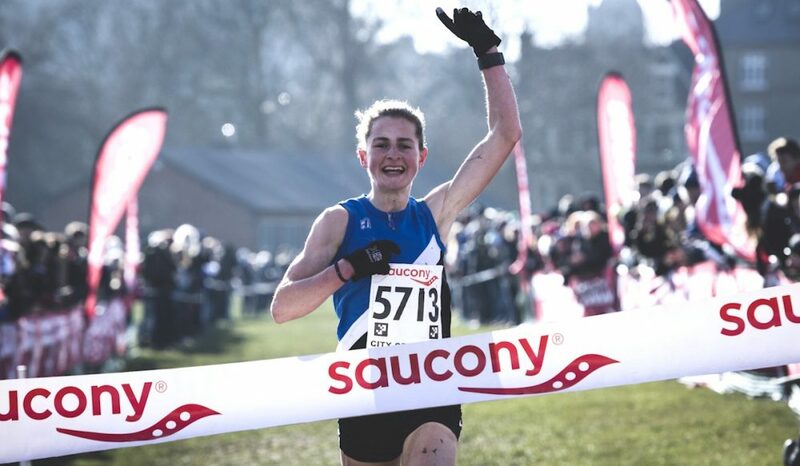 It is a fourth straight national win for the Warrington AC runner, who won the U17 title back in 2015, the last time Parliament Hill staged the Nationals. Knowles-Jones, who won European U20 gold in December after sliver and bronze in previous years, crossed the line in 24:07 over a minute ahead of South of England runner-up Niamh Brown in 25:16. 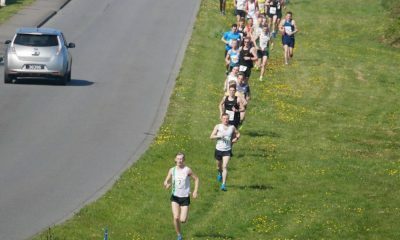 The Aldershot runner was followed closely by Scarlet Dale in 25:21. Francesca Brint led Sale Harriers to team title ahead of 2017 winners Aldershot.